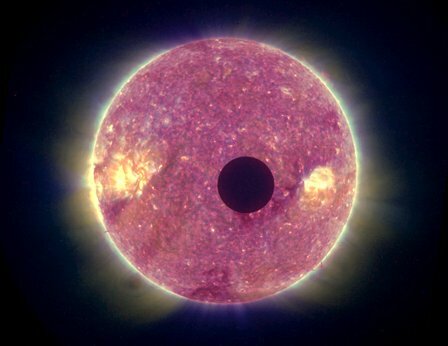 On Feb. 25, 2007, NASA scientists were calibrating some cameras aboard the STEREO-B spacecraft and they pointed the instruments at the sun. No human has ever witnessed a solar eclipse quite like this: NASA’s STEREO-B spacecraft was about a million miles from Earth last month when it photographed the Moon passing in front of the sun. The resulting movie looks like it came from an alien solar system.